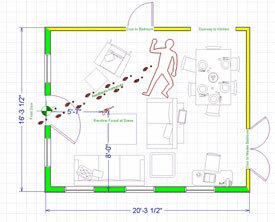 Chief Architect, Inc. is a leading home and light commercial design software publisher. 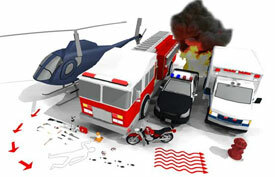 For years, the ATF and state and local fire and police departments have used Chief Architect software to reconstruct 2D and 3D fire and crime scene diagrams and renderings. And now it’s even better; when you order, download the Fire and Crime Scene catalog below to expand your version with new tools to recreate almost any scene. Chief Architect’s software is designed for the residential and commercial market. 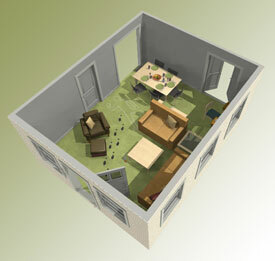 It is one of the best 3D home design software products available. Investigators can use this same technology for fire and crime scene analysis. Create 3D views and virtual tours of any scene – helpful for investigation, analysis and courtroom exhibits. Chief Architect software is a great design tool with an extensive catalog of objects; you can also purchase a Fire & Crime catalog. Thousands of catalog objects to detail designs – sofas, chairs, beds, tables, etc. Please note not all features are in all products. Please refer to the individual product details or call our sales department.